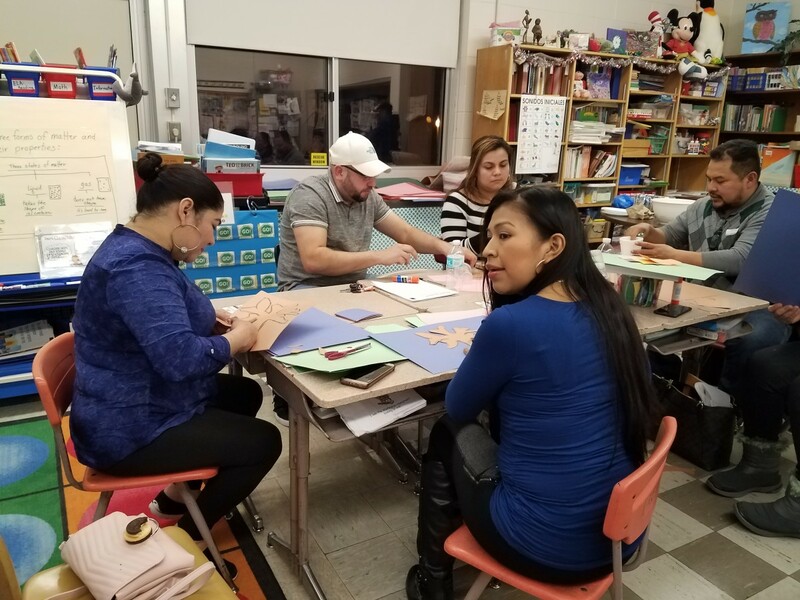 Meadow Hill GEM School has over 17 families who come to learn English as a second language, learn strategies to help their child become readers and writers, and also learn about helpful services within our school district and community each Friday. 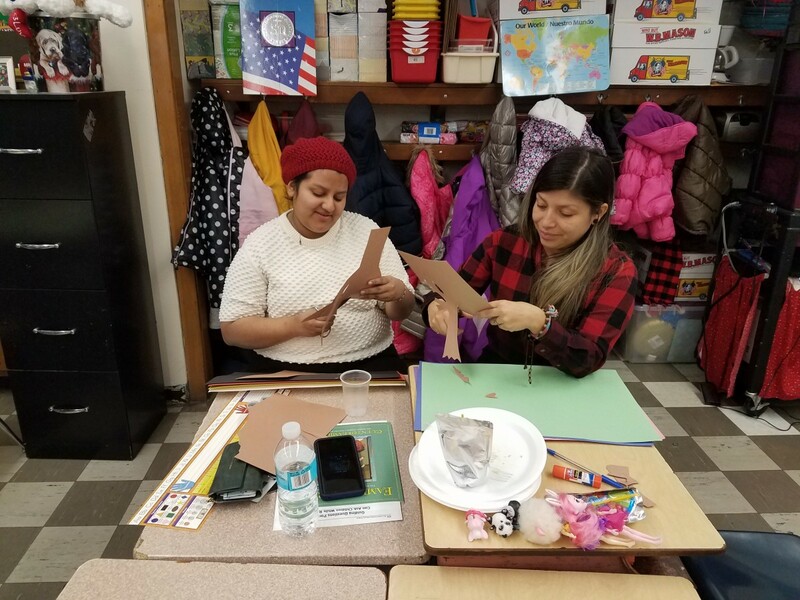 Parents are learning how to read to their child, what questions to ask their child from the reading and how to discuss the book. Parents do this by taking turns reading aloud in English and Spanish. They learn how to engage their children in active listening, speaking, reading and writing skills. Finally, they learn how to create hands-on projects with the book of the week to learn about extension activities about books they read. The families bring their children as well, and their children learn about ways to engage in reading through free apps and internet services. Children who come with their parents are learning of new ways they can use electronic devices at home to expand their learning. 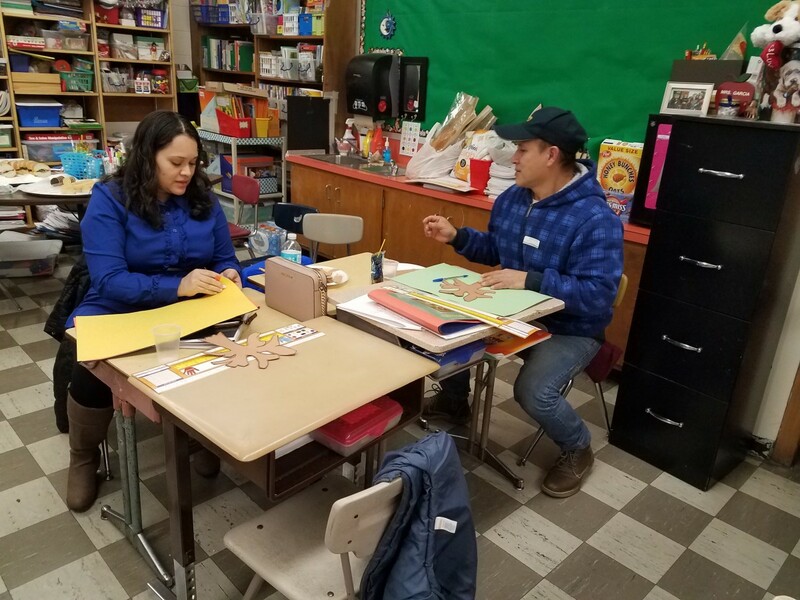 In the pictures below, you can see the parents working on their family tree projects as the book of the week was about Family Life. The children participated in repeat after me song and dance, how to search and listen to a read aloud online, learned about how to use pebblego to learn about new topics and drew pictures to reply to the read aloud. Story and photos submitted by Ms. Gina Melendez.